Michael Cohen pleaded guilty to a count of making false statements to Congress. Michael Cohen, President Donald Trump’s former personal attorney and long-time fixer, entered a guilty plea in November to one count of making false statements to two congressional committees which were conducting investigations into Russian interference in the 2016 election and possible links between Russia and people associated with the Trump campaign. He acknowledged in his plea deal with the special counsel that he had misled Congress about the timing and details of negotiations for a Trump-branded high-rise in Moscow. (Timothy A. Clary/AFP/Getty Images, FILE) President Donald Trumps former attorney Michael Cohen arrives at U.S. Federal Court in New York, Dec. 12, 2018. The Accused: Cohen spent a decade working as an executive vice president at The Trump Organization and special counsel to Donald J. Trump. He had no formal role in Trump’s 2016 presidential campaign, though he frequently fielded media inquiries for Trump and was a regular presence on cable TV advocating for his boss. After Trump’s election, Cohen left his post at the Trump Organization but held onto his role as Trump’s personal attorney and remained a steadfast defender of the president. He famously told a Vanity Fair interviewer in late 2017 that he would “take a bullet” for Trump. But Cohen’s fealty to Trump eroded gradually in 2018 after his office and residences were raided in April by federal agents. He shook up his legal team, exited a joint-defense pact with Trump and publicly signaled his willingness to cooperate with the Mueller investigation. He would ultimately spend dozens of hours with Mueller’s team over the course of seven interview sessions. In August, Cohen pleaded guilty in a deal with federal prosecutors in New York, to financial and tax crimes (unrelated to his work for Trump) and to two campaign finance violations associated with his role in once-secret hush money payments to two women who had claimed previous affairs with Trump. At a plea hearing, Cohen told the court that the deals with the women, Karen McDougal and Stormy Daniels, were made “at the direction of, and in coordination with” then-candidate Trump. Two weeks before he was due in court for sentencing on those crimes, Cohen reached a separate deal with the office of special counsel Robert Mueller in connection with his false statements to Congress. The Formal Charges: Cohen pleaded guilty to one count of making false statements to Congress, a crime punishable by up to five years in prison and a maximum fine of $250,000. 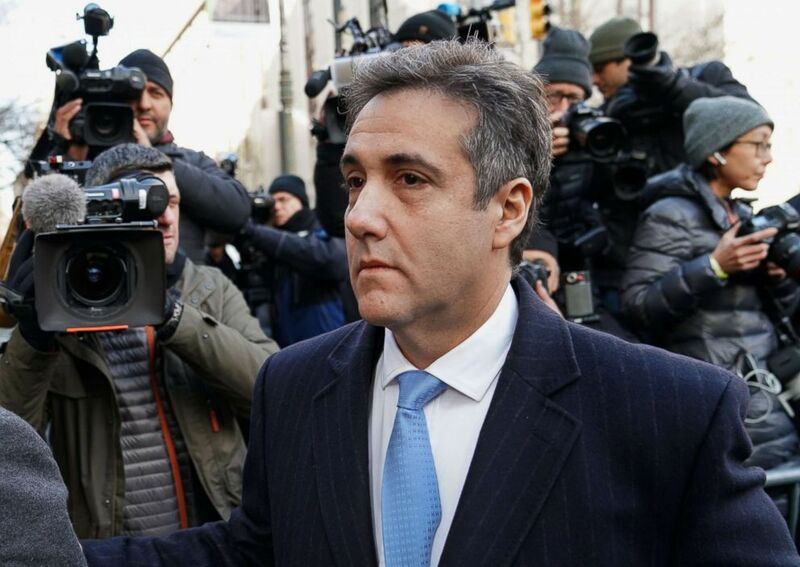 In December, a federal judge in New York sentenced Cohen to three months in prison on the false statements charge to be served concurrently with a three-year sentence he received for other crimes committed in the Southern District of New York. He is due to report to prison by May 6. The Alleged Crime: In his plea agreement with the special counsel, Cohen admitted that he “knowingly and deliberately” made false statements about the pursuit of the Moscow Trump Tower in a letter sent to both the House and Senate intelligence committees in August of 2017. In the letter, Cohen claimed that the Moscow project was terminated in January of 2016, before the first presidential primaries, because he determined that the proposal “was not feasible for a variety of business reasons.” Cohen also sought to minimize his communications about the project with Russian officials and with Trump and his family, according to court documents filed by the Special Counsel. Cohen acknowledged in his plea agreement that the discussions about the proposed Moscow tower had continued until June of 2016, when Trump was well on his way to securing the GOP nomination for president. He admitted he had misled the committee about own his plans to travel to Moscow and about his efforts to arrange a subsequent trip for Trump to push the project forward. Ultimately, neither Cohen nor Trump traveled to Russia on behalf of the project. The Response: Cohen described his reasoning for making the false statements to Congress as an attempt to “stay in line” with the political messaging of the president, who had long disavowed any business or political ties to Russia. Cohen claimed in a court filing that as he prepared for his congressional testimony, he had been in regular contact with White House-based staff and Trump’s legal counsel.